Learn faster, study better, and score higher with CliffsNotes® Apps for the iPhone®, iPod touch®, and iPad®. 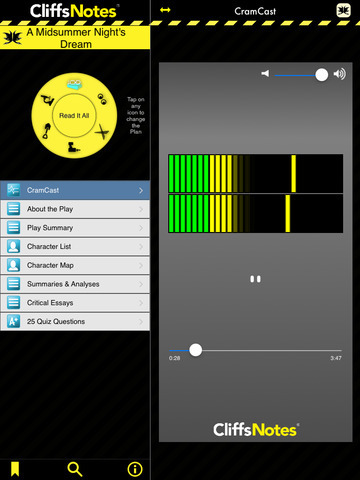 Fast, effective, and comprehensive literature reviews for your mobile device give you anywhere, anytime access to character, theme, and plot summaries and analysis; interactive quiz features; and audio CramCasts. In A Midsummer Night's Dream, William Shakespeare shows how wonderful and silly love can be. To trick Titania into handing over an Indian boy she is raising, Oberon orders Puck to find a plant that causes love at first sight. Through Oberon's meddling and Puck's trickery, the characters fall into and out of love with the wrong people. In the end, Oberon sets things right, and the fiasco of the previous evening becomes nothing more than A Midsummer Night's Dream. Two separate review modes let you customize your study experience. 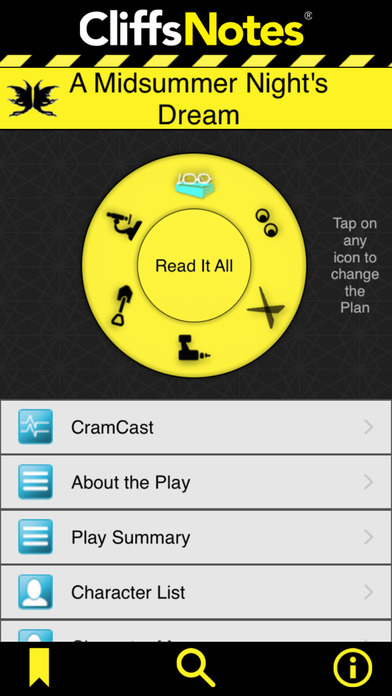 · Prescriptive “Cram Plan” orders the content of the app to give you exactly what you need to know in the time that you have. · The Full Study Plan provides the app’s complete content so you can read through at your own pace. 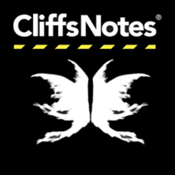 Look for more CliffsNotes apps covering popular works of literature to help you learn faster, study better, and score higher. All content © Wiley Publishing, Inc.
Often imitated but never equaled, CliffsNotes are the original and still most widely recognized study guides in use today. Research shows that among today's students, parents, and adults in general, CliffsNotes have more than double the recognition of the leading competitive study aid brand. A branded imprint of Wiley, CliffsNotes have been described by The New York Times as “an American icon.” The only study guides written by teachers and educational professionals, CliffsNotes have a full range of test prep and study aids—just what today's students need to grasp the essentials fast and score their highest. For more information, visit Cliffsnotes.com. Founded in 2008, gWhiz has quickly made a name for itself in the mobile learning arena. Our team of seasoned pros have hit the ground running, and we are well positioned for continued growth. With considerable experience in the educational technology marketplace and with start-ups in general, our team of project managers, technical architects, developers, graphic designers, and marketers are focused on creating mobile solutions that make sense. Determined to help shape the future of online learning, we are committed to developing quality educational software to promote a lifetime of learning for professionals and students of all ages. For more information, visit gwhizmobile.com.